Chicago Jazz vocalist, Tammy McCann, began her career as a Classical singer and musician. Her first music teacher was the renowned Dr. Lena McLin, the niece of the founding father of American gospel music, Thomas A Dorsey. (McLin has also been responsible for launching the careers of countless other Chicago vocalists...including R&B star, R. Kelly, and the classical master, Robert Sims.). 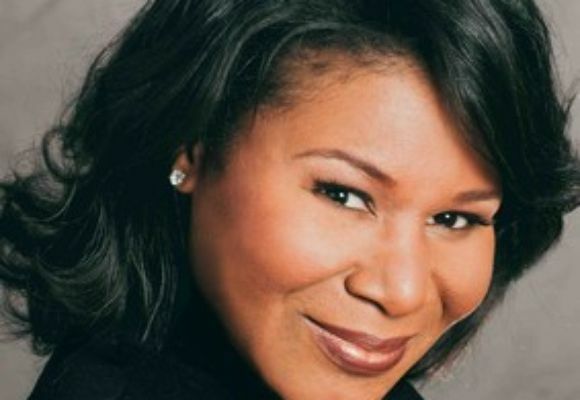 Tammy began to work with Dr. McLin while she was still a student at Chicago's Kenwood Academy High School, and before long, McLin realized the awesome potential for an operatic future in McCann's magnificent vocal instrument, and cast her as the lead in Mascagni's "Cavalleria Rusticana", as well as other major roles. Tammy soon found herself on a full scholarship to Virginia Union University in Richmond, Virginia, but she felt that something was missing in her studies there. However, a chance encounter in one of the rehearsal rooms in the Music Building led to a musical epiphany for her. As she was walking to one of her classes, she overheard a sound that was to change her career direction completely: it was another student playing "Round Midnight" by Thelonious Monk. Thus began McCann's foray into the world of Jazz, where she quickly discovered the voice of the legendary Dinah Washington (to whom she has been compared by many), and whose sound and gospel-like inflections struck an immediate chord with the young vocalist as she began her new musical journey. Soon afterward, Tammy was on her way back to Chicago, and began making the rounds of the jazz scene there in the late 80's. As Tammy herself describes this journey: "Jazz took me home to Chicago and into the waiting arms of the most amazing jazz mentors...Von and George Freeman nurtured me and pushed me to explore. Milt Trenier ( the veteran Chicago singer/club-owner) taught me showmanship and story-telling. Ramsey Lewis educated me about the importance of song selection, and the music business. And Henry Johnson (the Chicago guitarist who also produced her latest CD, "Never Let Me Go") showed me the unexplored colors and layers in my voice, as well as the importance of creating a connection with the audience". In addition, Tammy has continued to collaborate with many other great musicians and organizations, such as Les McCann, The Five Blind Boys of Alabama, Willie Pickens, and The Chicago Jazz Orchestra. Those years of singing "in the trenches", as Tammy describes them, led to a European tour with her own Trio during the mid-90's. This tour led to several follow-up tours throughout the rest of the decade. Her fluency in several languages...including Italian, French and German, secured her legions of new fans abroad. One result of her European touring was a 1996 recording entitled "You Like", featuring Tammy McCann and Wonderbrass (Saar Records/Italy). And ultimately (and not surprisingly) Gospel music became a natural addition to Tammy's repertoire, since her mighty and sumptuous voice was a perfect vehicle for gospel songs and compositions. Tammy McCann and The Voices of Glory became one of the most popular gospel acts touring Europe at the end of the decade...and she subsequently recorded another CD with this group in 2000 for Saar Records (Italy) entitled, "Praise". And then it was time for another major teacher and mentor to enter Tammy McCann's life and career: the late, great, Ray Charles. A nation-wide search to fill an opening for a singer within The Ray Charles organization came to Chicago, and Tammy was invited to audition, along with hundreds of other aspiring vocalists.. and she won the coveted prize! The next thing she knew, she was on her way back to Europe, and a two-year odyssey (2000-2002) as a Raelette with the iconic singer and pianist. Tammy describes the experience as "electrifying...and not for the faint of heart!" But she also speaks very fondly of her musical collaboration with him: "Mr. Charles taught me that the standard is perfection, as well as the importance of treating band members with respect and equity". Soon after leaving the Ray Charles organization, Tammy settled down in Chicago with her new husband...a Deputy Commissioner in Chicago's Department of Housing and Economic Development. Her solo career was once more put on hold in favor of her family....which was exactly the way she wanted it. She became a mother to her husband's two children from a former marriage, and soon the couple had two more children of their own. But in 2006, some musical events in Chicago led Tammy to venture out once again into the world of Jazz, and it was not too long afterward that her magnificent voice garnered the attention of some of Chicago's savviest musical professionals....including Alyce Claerbaut (the niece of one of the most important composers in all of jazz, Billy Strayhorn). Ms. Claerbaut became the catalyst who began to connect the necessary dots which would be so essential for Tammy to become known outside of her familiar performance venues in Chicago and in Europe. With her help, Tammy was able to travel to New York City in 2010 in order to meet some other influential singers (including one of her newest supporters, the respected American vocalist, Ann Hampton Callaway), some members of the Board of the Nelson Riddle Foundation, and the noted jazz critic and author, Stanley Crouch....who upon hearing several selections from her latest CD, became an immediate fan and career advocate. As 2011 begins, Tammy McCann stands poised on the precipice of a brand new musical adventure and solo career....and she appears quite ready to make a total commitment to all of it: "The Universe was planning something before I knew it", she says. And now so many who love and admire superb jazz vocalists will be the beneficiaries of her commitment to song. Stay tuned!